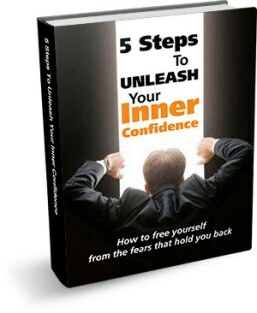 Are you looking to increase the amount of confidence you have in your social life, work environment, financial security, and relationship prospects? If you’ve been wondering what the secret is behind feeling massive amounts of confidence in every aspect of your life, then look no further. Today we’ll be discussing the formula for confidence—it’s incredibly easy, yet powerful, and it will have you opening doors to potential in your life that you never knew existed. Fear + Act of Courage = Confidence. Now, of course, this isn’t the only aspect to building unstoppable confidence—there are countless tools that can help you on your way to reaching your full potential (self-talk, letting go of self-sabotage, communication techniques, etc. 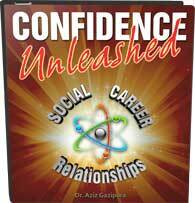 ), and I teach them all through my many programs, such as The Confidence Code and Confidence Unleashed. When it comes to taking bold action and using these tools cohesively, however, this formula is imperative to success. In order to move forward in building your confidence—regardless of the situation—you must act courageously in the face of your fear. It’s that simple. If you’re not applying this formula, it won’t matter how many techniques you apply or how many courses you take—you’ll never develop long-term confidence. So, why is this formula so effective? Because it addresses the main problem we all face as human beings: fear. Fear is the one thing that is holding you back. It causes discomfort and shows you where the edge of your comfort zone lies . . . and no one likes being made aware of their limitations. Think about it: where do you draw the line when it comes to taking bold action in your life? Maybe you avoid social situations in which you will be forced to interact with strangers; perhaps you refuse to speak up in meetings at work; or maybe you refuse to stand up to your in-laws when they criticize you. In each of these cases, you’re connecting with the edge of your comfort zone and the fear is keeping you from experiencing your power. Unfortunately, the first argument that I hear from my clients at this point is that their fears will make them fail at their Act of Courage, which will just make them feel even worse. First of all, that’s not going to happen. I don’t mean that you won’t fail—you very well may fail! Just having faced your fear, however, will prove to you that the consequences of that failure were not nearly as horrifying as you might have imagined. Secondly, practicing self-compassion is the part of the process that makes it effective long term. Ultimately, you have to see this as a process. It’s not going to happen overnight, and anyone who tells you that it should is lying to you. Changing your mental patterns involves a reconditioning process—that takes time. One Act of Courage may result in a feeling of success, while the next may result in momentary heartbreak. Over time, however, you’ll begin to realize that those moments of temporary heartbreak are just that: temporary. The moments of victory will far outweigh the rough times, and the negative emotions you feel will typically be the result of minor letdowns that won’t change your life in any way, certainly not irreparably. Each time you engage in an Act of Courage, you build one unit of confidence, making it easier to engage in that same act the next time. Now, does that mean you’ll instantly and permanently be more confident in that area? No. You have to amass many units of confidence before the fear dissipates completely. Each time you take action, though, it will get easier. The good news is that you don’t have to take on massive challenges to begin to see results. Sure, the greater the fear and the greater the Act of Courage, the more units of confidence you will build—but each step forward is important movement, no matter the size. You can use the repetition of smaller acts to slowly build your courage, which will eventually help you tackle the larger acts and more quickly unlock your confidence. This formula is backed by decades of research on exposure work and behavioral conditioning—and it works. It is the key to breaking through your comfort zone barriers to discover your next level of unstoppable confidence, and it will transform your life, just like it has mine and the many clients with whom I’ve worked. As always, I’m very interested in hearing about your progress and learning about what is working well for you! What’s the biggest Act of Courage you face? What fear are you facing when it comes to acting boldly? I invite you to share your thoughts in the comments below, just as I invite you to “like,” and subscribe using the available links. If you’ve experienced success with this method, please share that as well and help to inspire others within our community. The more we engage as a group, the faster we’ll grow, and the more confidence we will build together.